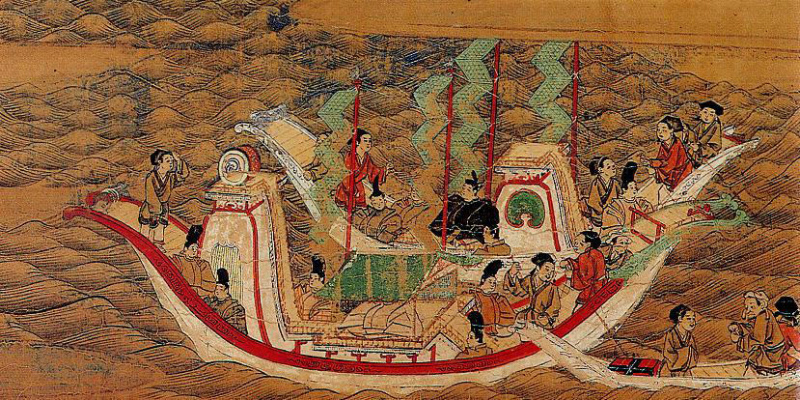 In 609, The Asuka dynasty of Japan sent an envoy, Ono no Imoko, to the Sui Dynasty of China (589-618). The envoy brought back ceramics, calligraphy, and Buddhism and introduced Chinese advanced knowledge to Japan when they returned. The Japanese admired Chinese culture and were deeply affected by it. Diplomatic relations continued after the Sui Dynasty fell and the Tang Dynasty appeared in 619. However Japan broke diplomatic relations with China in 894 because China fell into internal disturbances called the Huang Chao Rebellion. 13 years after diplomatic relations were broken, the Tang Dynasty fell. The Song Dynasty (937-1279) is often referred to as the golden age of Chinese ceramics. So many beautiful Chinese ceramics were imported into Japan after the Kamakura Dynasty of Japan tried to restore diplomatic relations with China. Ceramics are called ‘GIKI’ in Japanese. The word originates from ceramics from the Cizhou kiln, which flourished during the Song dynasty, similar to how the word 'china' came to mean ceramics in English. At present, Song ceramics are admired by antique ceramics collectors. Japanese refer to Ru kilns, Ding kilns, Ge kilns, Jun kilns and Guan kilns (the official kilns of China) as the five main kilns of the North Song Dynasty. In medieval Japan, cultural items imported from Mainland China were called "karamono" and they were continuously sought after. During the Kamakura and Muromachi periods, they became highly valued as objects for decorating kaisho rooms, mainly among families positioned to accede to the shogunate and samurai families. 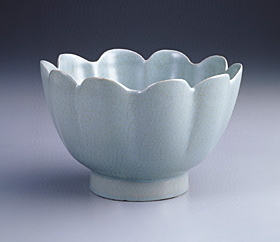 In particular, celadon ceramics made in Longquan kilns during the Southern Song Dynasty, referred to as "bowls that reflect the sky," were mass imported in the Kamakura period and were prized as if they were national treasures. However, from China's perspective, these good were nothing more than popular wares for export. Before long, with the popularization of tea drinking, the demand for karamono increased even more. The founders of the tea ceremony, including Murata Juko and Sen no Rikyu, then took possession of these wares and created a place for them as the highest class of teaware. 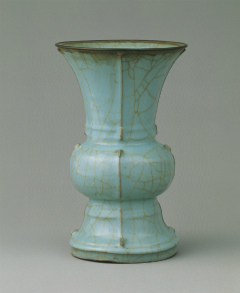 In Japan, celadon ceramics made in Longquan kilns are often referred to as kinuta celadon. There is a legend that this is because there is a famous vase among the pottery imported from China called the Celadon Pheonix Ear Vase that is shaped like a kinuta (a tool that is beaten to dry wet laundry quickly). There is also another legend saying that Sen no Rikyu named them this because the cracks ("hibiware") on his Celadon Orca Ear Vase reminded him of the reverbirations ("hibiki") produced by striking a kinuta. This is the greatest kiln for celadon porcelain. The kiln was opened in the north Song era and carried on traditions from the Yue Zhou kiln. This ancient kiln continues even in the present age. Longquan was in its prime in the south Song era. 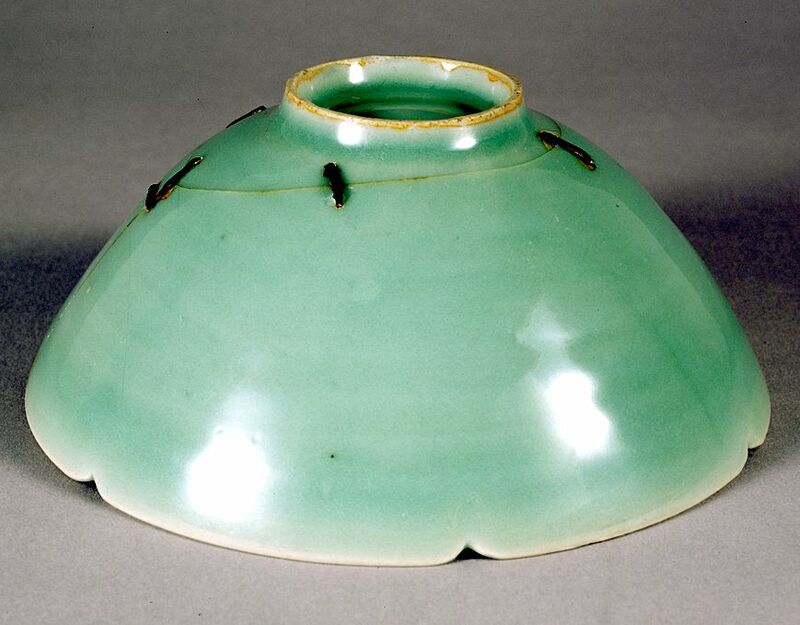 Very large amounts of celadon were exported to Japan and were much admired by Japanese Tea Ceremony masters, who called the ceramics ‘kinuta’. The color of kinuta was just like jade and the shaping was very skilled. Another characteristic is that many imitated ancient Bronze shapes such as a tripod kettle or barrel. One famous example of a Longquan ceradon bowl is named Bakohan, and is a National Treasure of Japan displayed in the Tokyo National Museum. According to a document from the Edo period this beautiful green tea bowl was made in a Longquan kiln between 1127-1279 (the South song era) and gifted from China to Japan's Taira no Shigemori in 1175. In 1260 the Mongolians founded the Yuan Dynasty after defeating the Jurchen of north China and the Song dynasty of south China. Unfortunately, ceramic art skills were gradually lost due to the Mongolians' lack of interest in the art. 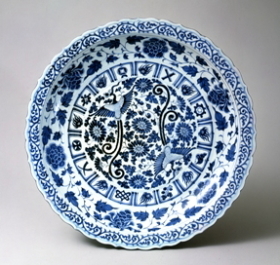 However blue and white ceramics, with a pattern of the blue drawn with cobalt on a white background, originated during this era. This was a great advance in ceramic history. The Yuan dynasty's influence extended to west Asia, so they were able to easily obtain cobalt from Islamic areas. In 1368, Chu Yuan-Chang, a leader of the Red Turban Rebellion, established a new era, the Hongwu, starting in the year he ascended to the throne in Nanjing City to found the Ming Dynasty. The Yuan Dynasty was defeated, and the production of blue and white porcelain fell away because it became difficult to obtain cobalt. In Japan, the blue and white gave a very strong impact to Arita ware: the first porcelain product in Japanese history. Ru kilns served as purveyors to the Imperial household from 1106 to 1186. Ru ware is famous as a top-quality celadon ceramic, and features a beautiful heavenly blue. The firing method contains many mysteries. In 1987, the ruins of a Ru kiln were discovered in Henan province. The ceramics which were discovered were the same as those exhibited in the National Palace Museum and in world famous collections. Only twice has Ru ware been offered for sale at international auctions during the past few decades, but they were valued at several million dollars. Ding kilns were the only ones of the five main types which fired white ceramics. The kilns prospered in the Hebei area, the north of the Song Dynasty. 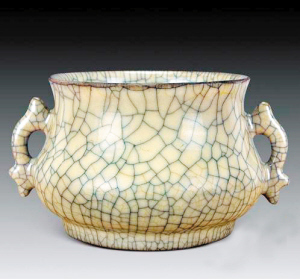 Ding ware has several features such as 'dried tears' and the color 'ivory white'. 'Dried tears' are white glaze drops on the surface flowing profusely, like falling tears. 'Ivory white' is a typical Ding feature. The Ding kiln had fired ceramics with wood since the Tang dynasty. However the kiln began to use lime instead of wood at a certain time. The glaze was white tinged with blue when wood was used. The color changed to creamy white like ivory after lime began to be used. Japanese like the ivory color in spite of its blue tinge, as they consider it to be beautiful just like a precious stone. Often the first Chinese pottery Japanese people come to like is Ge ware. Ge ware is a very unique celadon with a dark-brown color like bricks on the surface, and have so many craze. Ancient documents from the Ming Dynasty tell the story of two highly skilled ceramist brothers. The celadon porcelain that the older brother made was highly regarded, and the younger brother was jealous. The younger brother opened the kiln before it had completely finished firing the ceramics to look inside in order to steal the method. Fresh air flowed into the kiln and the older brother’s ceramics cracked all over. The older brother was angry, but then he noticed a deep beauty in the cracks and forgave his younger brother. The older brother reproduced the cracking and became more popular. The younger brother undertook long training and eventually founded a kiln called Longquan. He succeeded in firing very beautiful celadon. 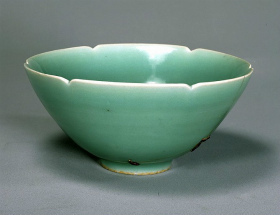 Jun ware is a type of celadon. 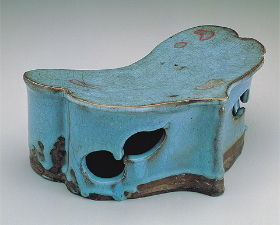 The use of straw ash in the glaze bestows its unique blue glaze suffused with white. The original Jun ware was created at the Jun kilns of Henan in the northern Song Dynasty. However the method was imitated at many other kilns because the ceramics became very popular. Ceramic ware of a similar style are called ‘Jun ware’ in the present age because so many imitations were made for so long all over China. Guan kilns refer to official kilns run directly by the government, the products of which were exclusively for the use of the imperial courts and governmental officials. Guan kilns were in use from the Song Dynasty (960-1279) to the Qing Dynasty (1644-1911). Ceramic art experienced significant growth in the south during the Song era. The Song dynasty was invaded by the Jurchen in 1126 and lost northern China, however the Imperial family ran away to south China then the dynasty was restored at Nanjing in 1127. Thus many excellent potters escaped from north to south China resulting in a blending of the two areas' styles. 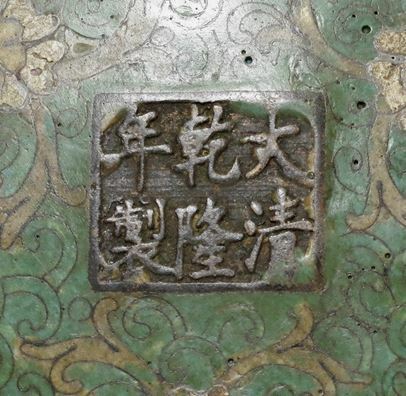 Celadon porcelain was fired mainly in the south Song Guan kiln and the shapes were similar to those seen in the Yao Zhou kiln (olive green glaze and hollow relief carving are characteristics of the Yao Zhou kiln) but the color was a deeper green because the potters used black soil and plenty of celadon glaze. You can see the black soil from the surface of the see-through rim. 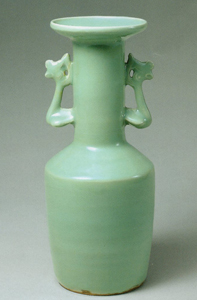 This is characteristic of the celadon porcelain made by the Guan kiln of South Song. 'Zisha means 'purple sand' in Chinese. This stoneware has a beautiful purple-red-brown color. It originated among potters near Yixing, who were using the local 'zisha' clay to make utensils that may have functioned as teapots in the early Song Dynasty (10th century). 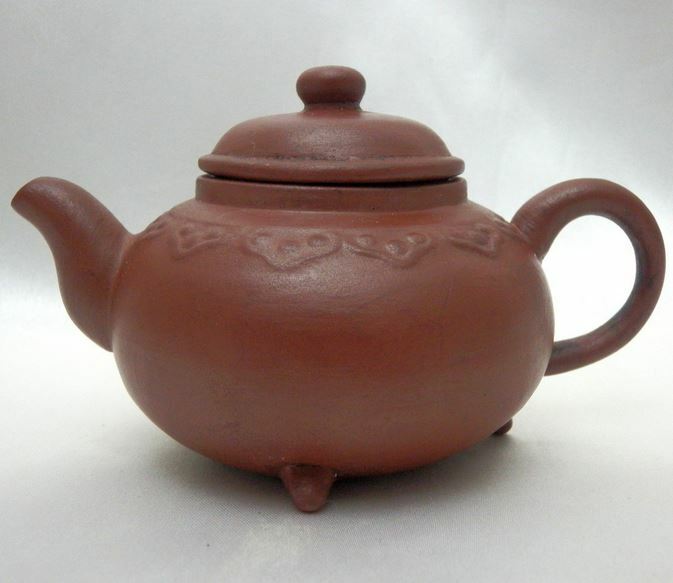 To the Chinese tea connoisseur, Yixing teapots were the "ideal teapot". Such fine quality teapots soon became popular and began to spread. Even now, Yixing, in Jiangsu Province, China, is known as the "Pottery Metropolis" over the world. In ceramic art history, the reign of the Emperor Xuande (1398-1435, Ming Dynasty) is very important. 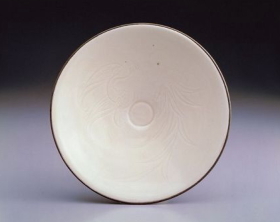 Emperor Xuande ordered Guan kiln potters to print his seal on the bottom of ceramics. Potters made strenuous efforts to follow this strict order, because it was a custom for the Emperor to give high-quality ceramics to bureaucrats. After this period, fine ceramics with each emperor's name continued to be made in Guan kilns. In particular, many beautiful examples were produced under three major emperors of the Qing Dynasty, Kangxi, Yongzheng and Qianlong, and can be seen at the National Palace Museum and in famous museums all over the world. Koraimono is a general term referring to tea utensils produced in the Korean Peninsula, in contrast with the Chinese-produced style of pottery known as "karamono." 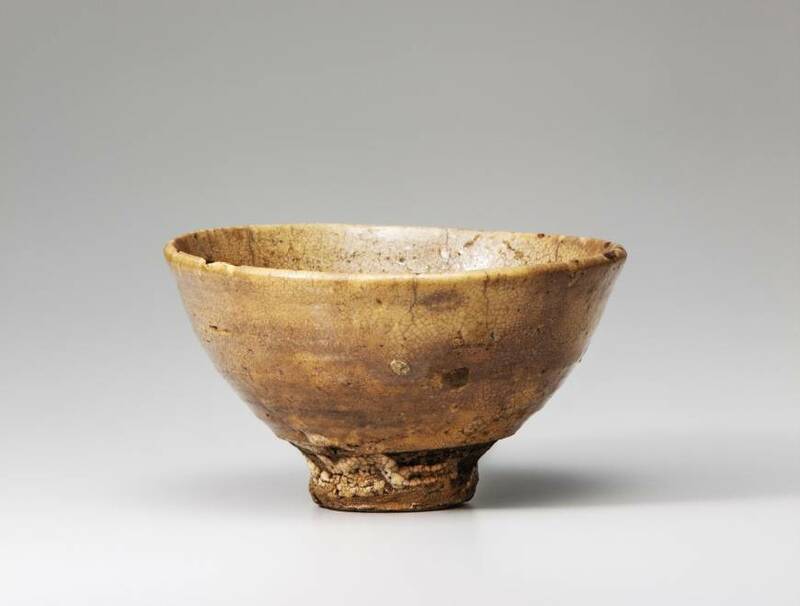 Around the mid-16th century, corresponding with the rise of the wabi-cha style of tea ceremony, this multi-purpose bowl produced in ordinary kilns throughout the Korean peninsula came to be known in Japan as "koraimono," and used as a tea bowl for matcha. In contrast with the celadon porcelain and black tenmoku glazing of Chinese karamono, koraimono tea bowls are characteristically plain, simplistic, and carefree products, and it is this simple beauty that captured people's hearts at the time. Alongside the rise of wabi-cha, koraimono tea bowls came to occupy a higher position than Japanese products, and they continue to be passed down between generations even to this day. Because Korea was formerly known in Japan as Korai (Goryeo), tea bowls made in Korea were referred to as "Korai tea bowls." However, the period in which the majority of these products were made was not the Goryeo Period, but rather the Joseon Period. Koraimono are divided into many categories, each with distinct names, including kyogen-bakama, unkaku, mishima, hakeme, muji hakeme, kohiki, ido, idowaki, totoya, soba, tamagode, kaki no heta, komogai, goki, warikodai, as well as others in Japanese. Moreover, in the 17th century, items believed to be in demand from Japan, such as the goshomaru, irabo, hori-mishima, and kinkai tea bowls were produced; and indeed, the gohon tea bowl was produced in the kilns of the Japanese settlement in Pusan based on a demand from Japan. Said to be the most prominent of tea utensils and of koraimono is the story of the Kizaemon Ido. Early on in the Tokugawa Period, around the Keicho era, a wealthy Osaka merchant by the name of Takeda Kizaemon owned a specially produced tea bowl. Kizaemon spent much of his time on tea ceremony as a hobby, but after losing his fortune and the break up of his household, he became absorbed in menial work in the brothels of Kyoto's Shimabara. Because of his financial ruin, he was forced to part with his tea utensils, with the exception of this one particular bowl. While he would have been able to sell it for a high price, he instead placed it in a bag and took to the road, keeping it with him at all times. Before long, his entire body became covered in boils, and he died holding the tea bowl close. After Kizaemon's death, the bowl passed on to the lord of Noto, Honda Tadayoshi, and in 1634 passed again to Nakamura Sosetsu of Sennan. In 1751, it became the property of Toshi. During the An'ei era (1772-81), the 7th generation daimyo Matsudaira Fumai overcame the resistance of the retainers of Yamagoe Toshibe and purchased the bowl in Kyoto for 550 ryo. The retainers protested the purchase based on the rumor that the owner of the tea bowl would suffer from boils. Fumai's wife, Shizu Rakuin, entreated him not to use the bowl, and he put it on display instead; however, following the rumor, he fell victim to boils. His wife advised him to let go of the bowl, but Fumai was unwilling to, and decided to follow through with his plans to pass it down to his son, Gettan. Subsequently, Gettan also began to suffer from boils. After this, his wife made him donate the bowl to Kohoan, a sub-temple of Kyoto's Daitokuji, where the bowl remains to this day. In 1951, the Kizaemon Ido was named a national treasure. Of the eight tea bowls designated as a national treasure, this is the only one made in the ido style. Are you interested in KANJI? Copyright 2019 ChanoYu shop. All Rights Reserved.